The series revolves around Sam Hodiak, a decorated Vietnam War vet working as a homicide detective in Los Angeles in 1967. When the 16-year-old daughter of a friend goes missing, Hodiak is forced to step out of his comfort zone and deal with a younger generation that engages with looser morals, open drug use, war protests and anti-establishment movements such as the Black Panthers. During his investigation, he crosses paths with a moody but confident young man named Charles Manson, who has not yet launched his infamous murderous crime rampage but demonstrates a hypnotic and dangerous power over women. I thought telling the story of the ’60s through Manson was clever and good. As for my character, here’s a guy born in the ’20s or ’30s, he is completely out of place, he’s not of the ’60s. He doesn’t like the hair, he doesn’t like the music, he doesn’t like the clothes. I thought that was interesting. He was also hesitant to sign on because he couldn’t imagine a drama revolving around Charlie Manson being made on network television, having come from doing Showtime’s “Californication,” which most definitely could not be done on a network. But be forewarned, this show most definitely goes right up to the line with what is acceptable for general audiences. Several scenes in just the first hour (all we watched of the two-hour season premier last night) made watching with our 13 year old son quite uncomfortable. If it were up to my wife he wouldn’t be watching at all, so we’ll have to see if we continue to let him. Yes, it’s that intense. But what else would you expect with menacing Charlie Manson running around being, well, menacing. P.S. In a twist for network television, NBC is streaming all 13 episodes of the series like Netflix or Amazon, so if you missed the first episode last night and didn’t get it on DVR, you can still watch it, and all the rest if you’re in the mood, at nbc.com. I just read an article saying that a government agency in the Russian federation is hiring internet trolls to post anti-American postings on Glenn Beck’s “The Blaze.com” Over on PJ media there is a June 4 dated article about this. What got to me is that the Russian Federation thinks anti-Americanism and Glenn Beck belong in the same sentence, and do so on a regular basis. If that is accurate, should you be bothered by this? If that is inaccurate, why would the Russian federation paid-trolls act like that? Incidentally, my criticisms are a desire that you should try to save an ABC show form cancellation. I hope that is not trolling. Thus website liked “Forever”, and wrote about it last fall. That implies a need to think about it now. Thanks for the reminder, Bradley. Perhaps the writer of that piece will pick up the story again. Interesting article, Mike. I thought that the first two episodes were rather engrossing, and the relationships among the police detectives enhanced the presentation of the disturbed nature of the late-’60s United States. 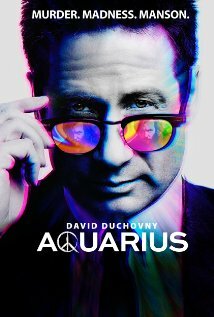 I think that Duchovny’s character is rather complex, not fully resistant to change but by no means accepting the social dissolution he sees. I suspect that Duchovny’s personality and acting person help make that point. I have long thought that the “dark side” of the late ’60s, exemplified by the Manson cult and the killings it perpetrated, is in fact the real story of that period, and the first two episodes of the show really convey that. This website has not written anything about the attempt of the executive producer of the show “Forever” to get the show pick up for a second season by TNT.